NEW THIS FALL! 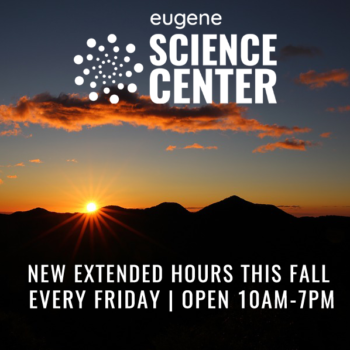 We’re staying open later on Fridays which means you can keep enjoying science ’til sunset! Starting September 7, we will be open every Friday from 10am – 7pm with public planetarium shows. See our planetarium calendar for showtimes and descriptions.